Oncology is a branch of medicine that deals with tumors (cancers). A medical professional who practices oncology is called an 'oncologist'. Find below the very best cancer care and cancer specialists available in the Dayton area. 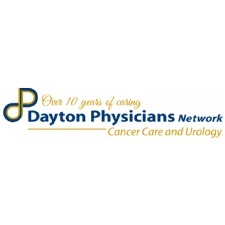 - The physicians and staff at Dayton Cancer Center, Medical Oncology Hematology Associates are dedicated to partnering with you and your family to provide the highest quality of care for your Oncology and Hematology needs. - Leader in cancer care and urology. We take an inter-disciplinary approach to patient care by providing Medical and Radiation Oncology, Imaging and Urology at 8 locations across the Miami Valley. - Providing integrated cancer care services to Dayton area. Our team of medical oncologists specialize in diagnosing and treating cancer using chemotherapy, hormonal therapy, biological therapy, and targeted therapy. - Few things can be as devastating and worrisome as cancer. Not just for the person who is diagnosed but for friends and family, as well. They all need hope. They deserve hope. So hope is what we provide.